To start off the celebrations, the Norwegian Embassy hosted a breakfast where Ambassador Aas spoke along with four women in leadership roles: Rep. Chellie Pingree, Congresswoman from Maine 1st District; Dr. Sarah Sewall, Distinguished Fellow, John’s Hopkins SAIS; Amanda Hite, CEO, BTC Revolutions; and Ahlem Nasraoui, Tunisian activist, entrepreneur, and recipient of the State Department’s Emerging Young Leaders Award. Ahlem Nasraoui, member of ICAN’s WASL network, shared the progress and challenges of women’s rights in Tunisia. She also described her organization’s work of young entrepreneurs touring the country to reach out to young women to bridge the gap between education and professional work. 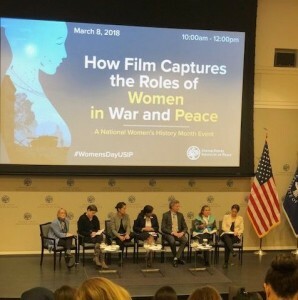 USIP hosted an event on “How Film Captures the Roles of Women in War & Peace.” Abigail Disney, the filmmaker behind “Pray the Devil Back to Hell,” and Sanam Naraghi Anderlini, as well as panelists, Suhad Babaa, Jamie Dobie, and Eric Martin and moderators Kathleen Kuehnast and Maria Stephan discussed how film and media can be used to promote the voices of women in conflict. Points of conversation included the unique impacts that film has and the difficulties that NGOs, CSOs, and other small organizations have in making such films, due to a lack of funds and resources. All panelists focused on the importance of film to move the hearts, and consequently the minds, of those who get to experience their art and work. Ms Anderlini highlighted ICAN’s Better Peace Tool and how the animations ICAN has created has been translated into eight languages (and counting) and is used in trainings at all levels- from civil society to the UN. 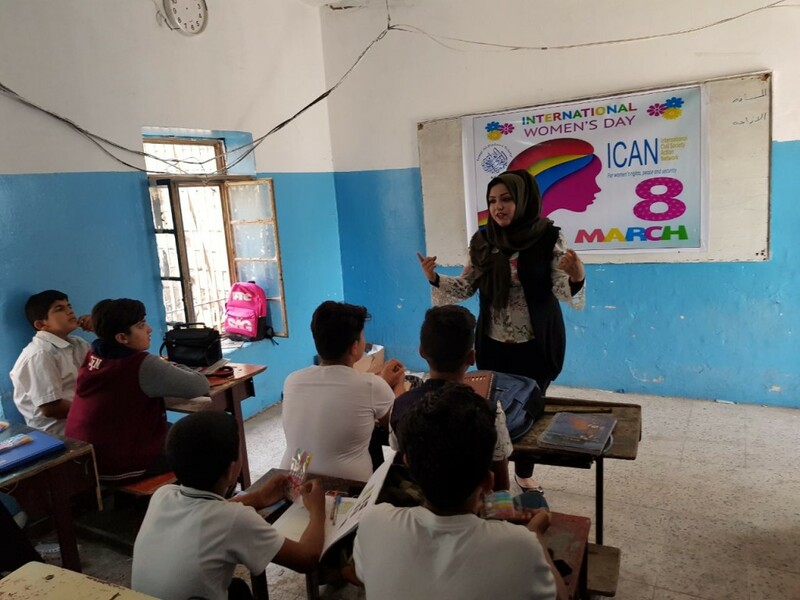 WASL partners celebrated International Women’s Day all over the world, but we were particularly excited to receive photos from our partner Fatima Al Bahadly in Basra, Iraq!